The Cauldron is run by whoever steps up on any given day. Today that could be you. If it is; could you please tell us what time tickets will be emailed? Seriously though, hit us up and someone will get back to you soon. Sean@kccauldron.com – Your feedback is appreciated. Website built by 305 Spin, Inc. Please Note: John and Lori Moore of 305 Spin are longtime supporters of the Wizards/Sporting KC and have been involved in and around the Cauldron for several years. 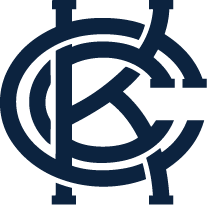 We wanted to help with the website to continue to be involved, and get a better chance to know the amazing people we see at every SKC game. In addition, this website may give us the opportunity to connect with some of you web designers, programmers, social media junkies, that would be a great part time or full time member of our 305 Spin team. So if you think you got special-web-ness and would like to see what opportunities may exist at 305, drop us a line or give us a call.